Technology is growing rapidly and nobody can imagine how it changes. Nobody estimated that the internet becomes so popular when it first launched. Most startups are now using the internet for promoting their brand instead of opting for traditional marketing ways such as putting up banners etc. Facebook, Instagram and Twitter are being used for business promotions but the most effective online platform for startup promotion is YouTube. YouTube is largest video sharing platform and second largest search engine. There are more than billion unique monthly users, and these numbers are exciting for any startups to start promoting their brand on YouTube. It is an important place for building and making startups a success. Startups must take care that the videos are aesthetically pleasing to the audience as an audience do not tolerate low quality or blurry videos. The videos should be made to establish the reputation of the brand. For uploading videos to promote the startup on YouTube, do research and based on that design the strategy. Know what kind of videos will work and how to attract views. It is important to establish following. Create a YouTube channel for your startup and customise it will good profile picture and also add some description along with links to the website. Profile should also contain an appealing thumbnail. YouTube helps the startups to connect personally with the potential customers. Post the videos to user testimonials, tips on how to use the product, explainer videos etc. A great way to increase credibility is to upload live ask me videos. Create groups to interact with the community. Increase search engine optimisation to improve weighting in Google search so that the videos are more likely to be found. Tag videos with relevant keywords. Add multiple calls to actions such as sharing the videos, downloading the songs, sharing with friends and subscribing to the channel. Startups must use good quality videos. If the quality is not good, Google may not rank them higher in search results. If the videos are not appealing users may switch to other videos. It is thus advised to recruit professional to shoot the videos with high-quality equipment. 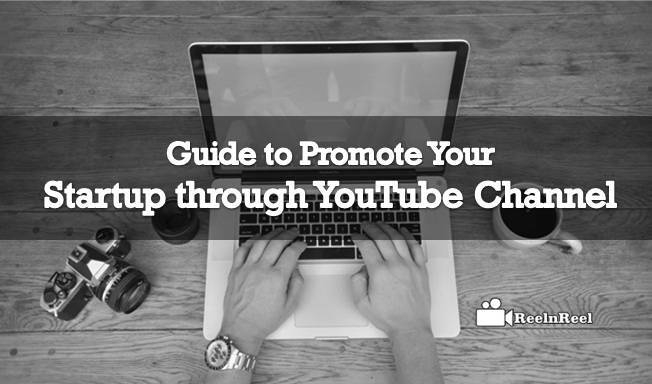 Monetize the YouTube videos to increase traffic, subscribers and clicks on ads. Upload the channel trailer that is nail-biting. Follow regular update schedule. Increase exposure of the videos and channel by optimising the videos. This increases SEO ranking, and if these are ranked higher, more and more customers will click and view the videos. Use proper title, Meta descriptions and keyword tags. To get more views, share the videos on social network sites. Also, embed videos on the blogs and websites. Video is a powerful content type of promote the startups. Video can help explain the business ideas in just a few seconds. The online visibility and brand building are possible with video advertising. Here are few ideas for creating YouTube channel video ideas for start-ups. Live action videos shot with real people can be done on small budget and thus is suitable for startups. These videos are similar to television marketing videos. Whiteboard is another video type for start-ups. Sequential images are drawn on whiteboard according to the voiceover. The idea of a startup can be explained by Music only videos. The music is played as the images flow and explains the startup idea. The best YouTube video type to impress the viewers is to use the testimonial videos. Startups can make these videos with real people to minimise the budget.